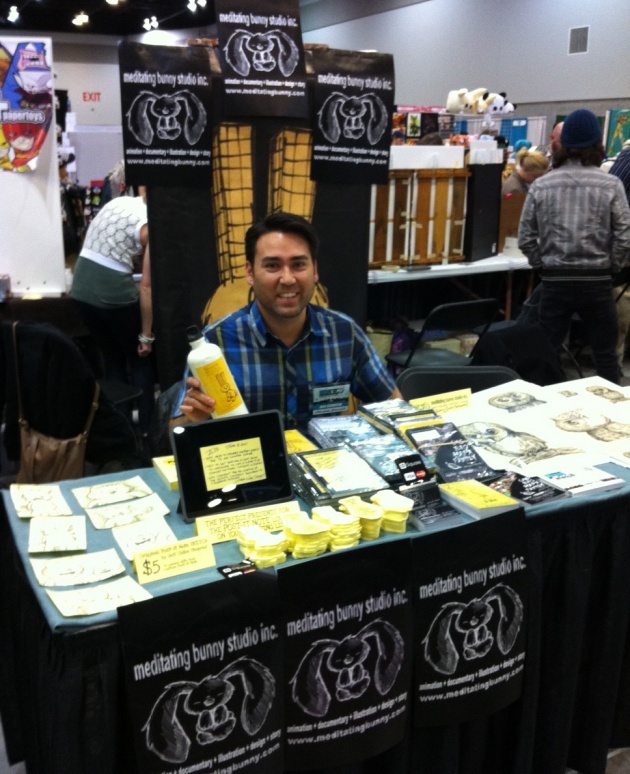 This past weekend, I attended a comic book convention called Fan Expo Vancouver. The festival runs for three days over the weekend and this year it was from April 18 to 20. I've been going to this particular comic book convention for the past three years. 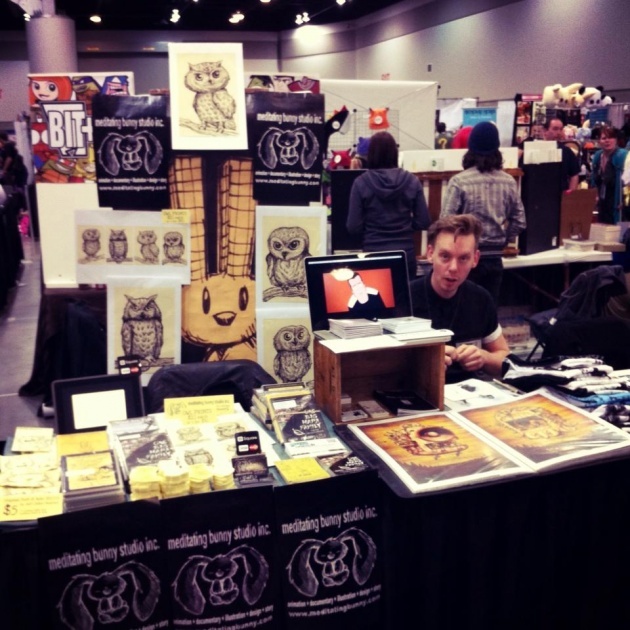 After attending the first year, I decided to get a table the following year in the Artist Alley, an area where artists promote and sell their work. This was my second year getting a table at the convention under my animation and production studio Meditating Bunny Studio Inc. The table is a bit expensive to rent so I usually try to share it with another artist, filmmaker, animation buddy. This year for a couple of the days, I shared it with animator and artist Peter Ricq. Peter's created three animated series that have been produced and is not only a great artist but also a good friend so it's always nice to have someone next to you to chat with when things are slow. Although, this year, tens of thousands of people attended this particular comic book convention so there seemed to never be a dull moment! Now a days, these festivals and conventions celebrate more than comic books, but also sci-fi, fantasy, anime, manga and animation. Therefore, it is a great way for me to connect with fans, make new fans and meet other fellow artists. As well, I have DVD's of my work for sale and this year I made some prints of some owl drawings I've drawn on Post-it Notes. 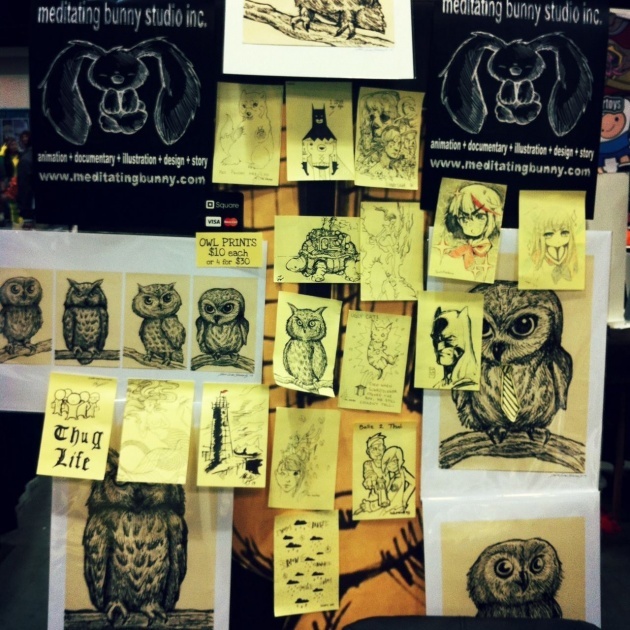 Surprisingly, the owl prints were a huge hit with people as it seems a lot of people love owls! Thus, I ended up making more than triple the amount of money I made last year which helped pay for the table and other expenses. Normally, I'm just happy to break even since attending these conventions is a really just a great way to promote my studio in person to new fans and connect with old ones. 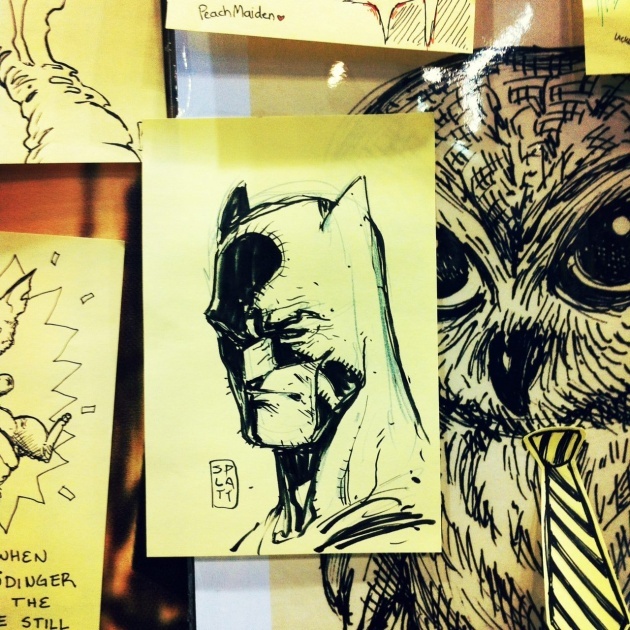 As a fun thing to do this year, I had a bunch of other artists, illustrators, and comic book artists draw me a little sketch on Post-it Notes which I hung behind my table. One of the highlights was having one of my favourite comic book artists, Stephen Platt, draw me a sketch. It's great to have other avenues besides film festivals and screenings to promote my work and comic book and fan conventions are great places to meet a lot of passionate people over a short period of time. For animators and filmmakers, I really encourage you to go out and check out a convention near you! 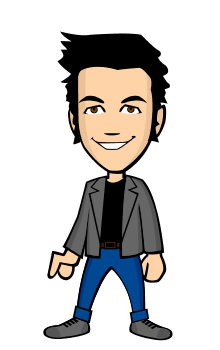 Thanks for reading and please SUBSCRIBE for updates on new blog posts and videos! Thanks! Below you can watch my latest film Yellow Sticky Notes | Canadian Anijam!